Pinterest is a great tool to share ideas and tips across the internet, but it is also an amazing tool to market a business. Social Media Examiner’s Cynthia Sanchez recently released an article detailing the strategic ways to use Pinterest to market a business and gain influence. The following three tips encompass a winning strategy to achieving success on Pinterest and in business. 1. Increase Your Brand Authority: The easiest way to establish authority is to provide useful and educational information while promoting a brand or product. It is important to re-pin from a “carefully vetted combination” of sources to build trust and loyalty. 2. Expand Your Reach: Group boards make it easier for new pinners to collaborate with popular pinners and win the attention of their followers. Sanchez warns that a level of trust must exist between the members of a group board. Because followers have access to all the members’ pins there is more opportunity for irrelevant and unrelated posts that could lose followers. 3. Drive Traffic to Your Site: According to the article, Pinterest drives more online traffic than LinkedIn, Google+ and YouTube combined. The most successful posts combine great visuals and useful advice to solve problems. A huge following isn’t necessary to gain influence. Since pins are individual they can be shared any number of times while gaining influence. The article also gives some great tips on using Pinterest analytics. 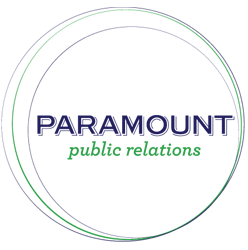 Revisit Paramount Public Relations, Inc.’s post on Twitter Analytics for more social media tips and strategies.